Thank you for making your way to Sisbarro, your hometown dealer serving drivers throughout Las Cruces and the surrounding areas. At our dealership, you’ll find a solid selection of new Buick, GMC, Mitsubishi, Volkswagen, as well as a carefully inspected lineup of pre-owned vehicles. We also have a well-connected finance center run by a qualified team of finance experts, who can help you get the right loan or lease in a quick, easy, and transparent manner. Our commitment to our customers continues well beyond the date of purchase. We also have a professional team of Buick, GMC, Mitsubishi, Volkswagen technicians on hand with the skills and equipment to handle all manner of maintenance and repairs, as well as a full stock of authentic parts. CARFAX One-Owner. Iridium Metallic 2014 GMC Sierra 1500 Denali 4WD 6-Speed Automatic Electronic with Overdrive EcoTec3 5.3L V8 Flex Fuel GPS, New Tires, Nonsmoker, 6-Speed Automatic Electronic with Overdrive, 4WD, jet black Leather, Bose Speaker System, Brake assist, Driver Alert Package, Navigation System, Remote Keyless Entry. Recent Arrival! Odometer is 36256 miles below market average! 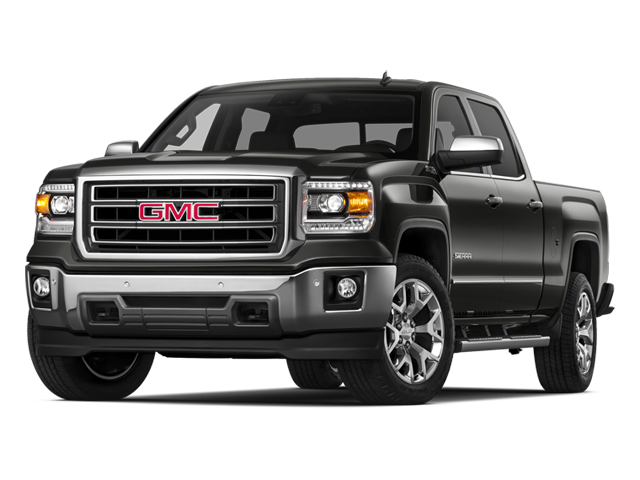 Hello, I would like more information about the 2014 GMC Sierra 1500, stock# GC5900A. Hello, I would like to see more pictures of the 2014 GMC Sierra 1500, stock# GC5900A.